Telecommute data entry positions are difficult to find, especially for someone looking for an honest work from home business opportunity. Don't be discouraged. There are many legitimate telecommute jobs out there, including data entry. The data entry professional transcribes information from the initial source into the database. Some positions require real-time input while others allow clerks to enter the information later. Batch data entry is very appealing to many workers because the source documents are entered into the system after the fact. The sources can include recordings, hand written notes, hard copy documents, or downloaded documents. Batch data entry differs from real-time entries that require immediate interaction between the source and the clerk. Data entry requires more than entering information into a computer. In many cases, the clerk is responsible for checking data as well. Some positions require the professional to check numeric digits, date accuracy and spelling. Validity checking is a crucial aspect of the process because misinformation can be very costly to the organization. A simple typo can wreak havoc on a business. Double-checking for accuracy is a significant component to the definition of data entry for many clients. Many companies employ data entry professionals on a freelance basis. The clerk works on a work-for-hire basis as opportunities arise within the organization. Others may hire permanent information processors who work on site. Still others, prefer to develop telecommute data entry positions. The job consists of processing information by typing text into a computer database or a spreadsheet. Some positions outline other clerical duties in their job description as well. Following are other names for data entry processors. The different designations alert job seekers to the nature of the job. This is a good thing to keep in mind when finding a job in this field. Jobs that title data entry in terms of word processor or typist typically require employees to create clean copies of material written by other professionals in the company. The primary function of the job is to create presentable documents for the organization to use. Many typists create standard forms and letters as well. Some information is very technical in nature. Some professionals are required to work with complex statistics and tables. The job may require workers to rearrange materials from a number of different sources and combine them in a coherent document. 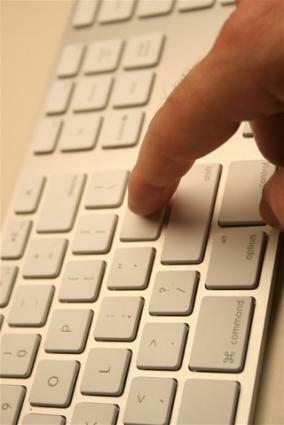 Some keyers use non-keyboard entries such as electronically transmitted files and scanned materials. The optical systems recognize characters and transfer the information but they are prone to misinterpret some of the symbols. Keyers enter data that is not recognized by the character recognition devices. Following are a number of telecommuting positions for data entry professionals. None of these companies requires start-up or processing fees. Of course, these are only a few possible options. You can find current job listings for home-based data entry work opportunities on the Data Entry Telecommuting & Part Time Jobs page on FlexJobs.com.